the In weddings everyone looks for the person who has worn a most fabulous dress and that person becomes the centre of attention of everyone. Your dress speaks a lot about your personality, your choices and your nature. It becomes easy to figure out about you easily at a first glance. The way you carry your apparel also decide different aspects of your personality. Always choose fancy assortments that can make your event special. Pakistani and Indian similar traditional norms adopted by the culture of the subcontinent are a most important thing. Our nearly similar dressing sense is also a part of it. 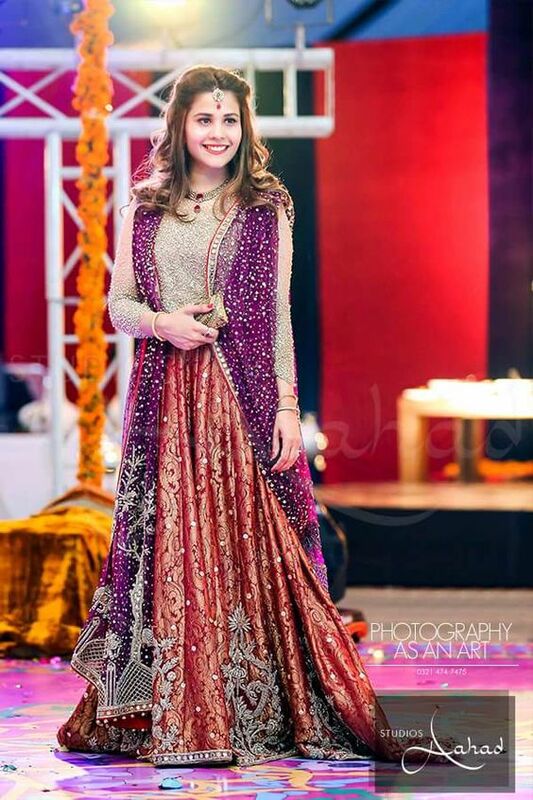 Most of Latest Pakistani Fashion Wedding Guest Dresses 2018 are based on similar cuts and styles like shalwar kameez, garara, sharara, ghagra choli and lehenga. Girls and women like to wear such dresses adorned with fancy gota work, dapka, zari, embroidery and tila work. Careful selection of colours according to climate gives soothing feelings to eyes of the viewer. 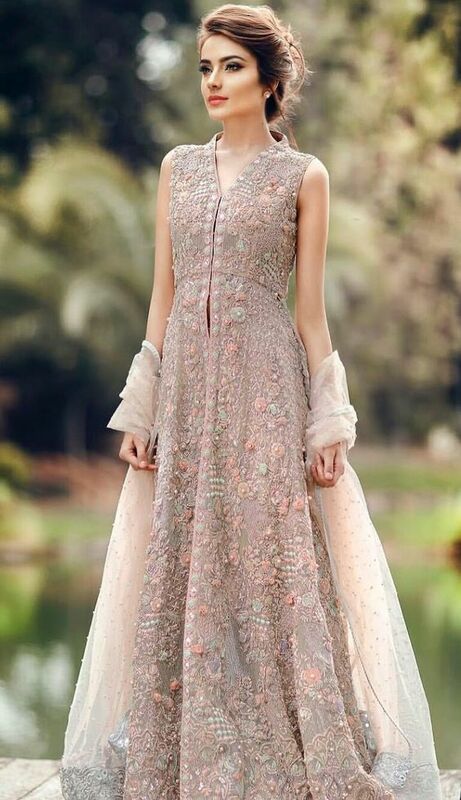 In summer light colours like peach, pistachio, tea pink, grey, purple, off-white and sky blue goes well with all type of dresses and they also suit women of all ages. In winters dazzling colours like bottle green, royal blue, camel brown, orange, yellow, ombre and maroon look perfect. Red is king of all colours and is being liked in all seasons. Perfect mixture of unique hues must be done while keeping your skin tone in view and always choose that colour which suits your personality. Every girl wants to inspire others by her remarkable beauty. She desires to look most beautiful and most attractive in every occasion. Alluring guest wedding dresses 2018 are designed while keeping the conventional priorities of clients in mind. Most updated patterns are fused with typical common cuts in a way that is acceptable by a large portion of society. What Style can You opt to attend a wedding? 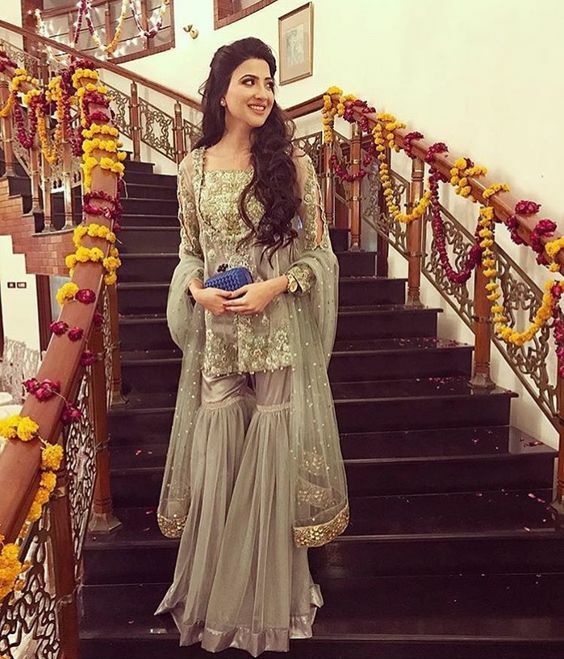 You have a lot of options to wear like the long or short shirt, kameez, open shirt, kurta, gown outfits, maxi, lehenga, poncho, frock styles, tunic, skirt, jumpsuit, garara and sharara. 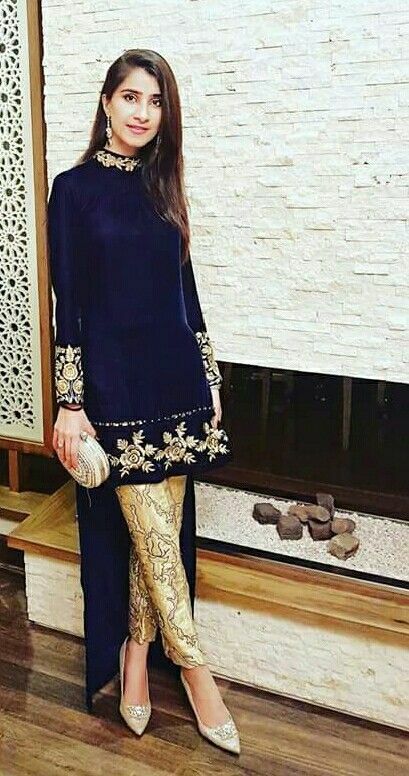 These all dresses can be paired with simple straight trouser, cigarette pants, tulip pant, churidar pajama, Capri, palazzo and even shalwar. Select that dress which will suit best for you. Long shirts with pajama will make you look smart and tall. Pair it with long dupatta having delicate work at borders. 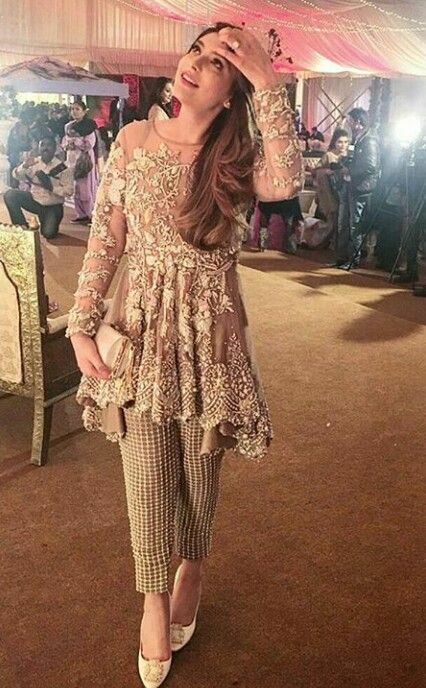 Fancy kameez shalwar or kurta with braided hairs go as traditional wear in mehndi. When you are going to attend someone else’s wedding your makeover matters a lot. It must be moderately done with is enough to give you a decent look. Try light shades in facial makeover with dark lipstick because dark lip colour will cover the light makeup. 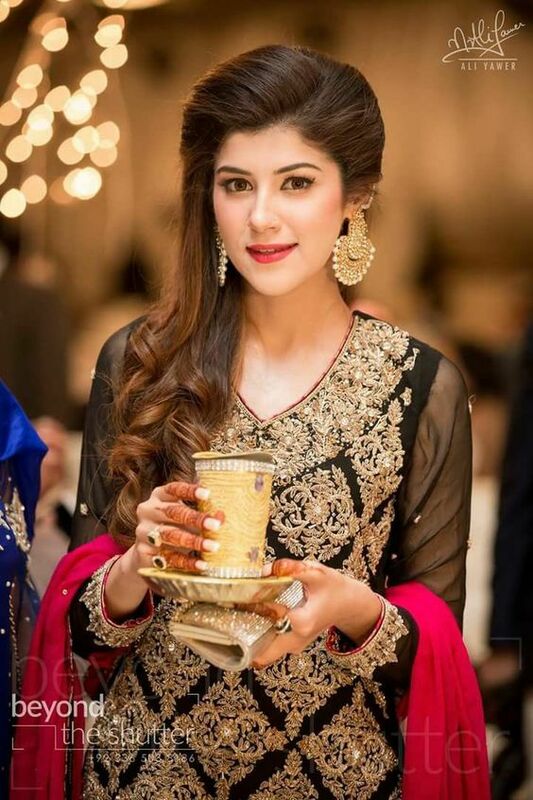 Do check Best Makeup Ideas For All Occasions to give you a glamorous look also check out Latest Party and Wedding Wear Pakistani Waist Belt Dresses that will surely help you out in selecting best one for a wedding outfit. Glittery sandals are right choice to wear with a simple or not much heavily embellished dress. Choose handbag or clutch depending on the style of dress. It may be one with a long chain or one with the small handle. For mature personality selecting right choice of handbag is necessary. It shows your personality to the viewer in right and complete way.